I feel that it’s important for families to see the shared reading we do each week and to give their child a chance to read the poem, song or book to them at home. One way that works quite well is to send home a weekly Poetry and Song Notebook. 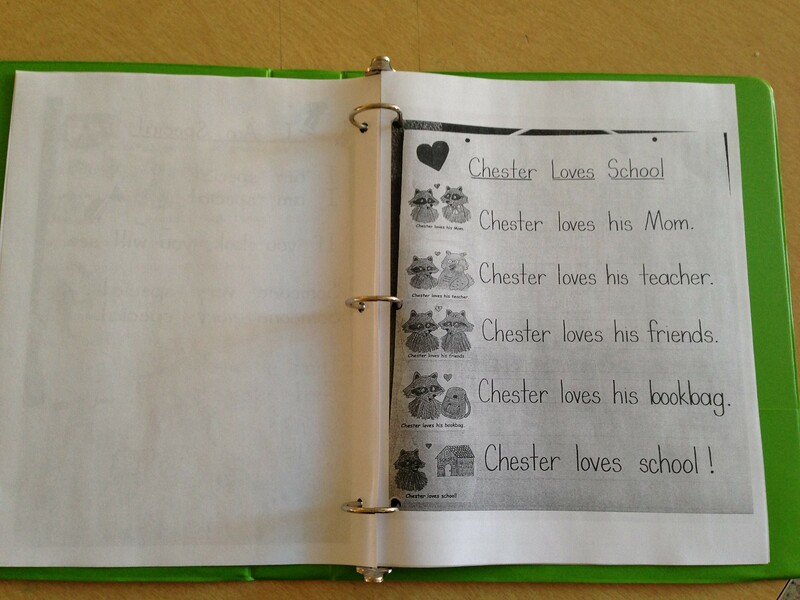 This is a 3-ring binder where children keep copies of all the poems, songs and mini-books we read each week. 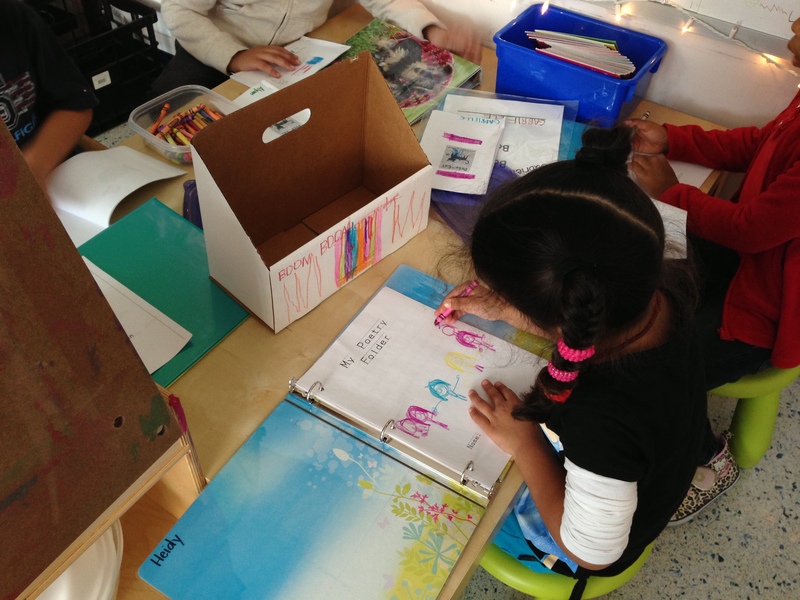 Every Friday we pass out copies of our shared reading and give the children a few minutes to illustrate them. They are then put in the binder and sent home for the weekend. 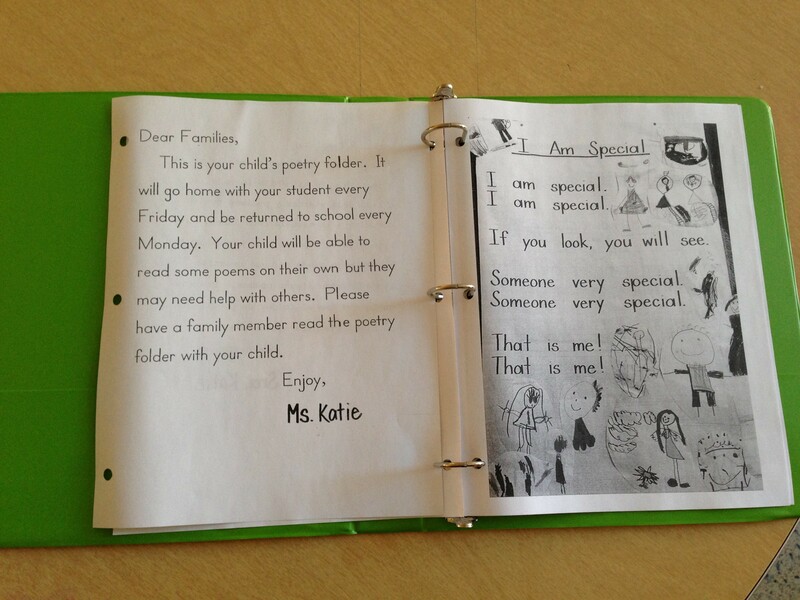 We stress the importance of bringing these binders back to school on Monday, since they are kept in the child’s individual book box and are familiar texts that children can read independently during our reader’s workshop. I take photos of the actual charts, (thanks to a great suggestion by my teammate Sam), and put those in the binders. Here are a few examples. NEW Mrs. Wishy-Washy Books and a Giveaway! 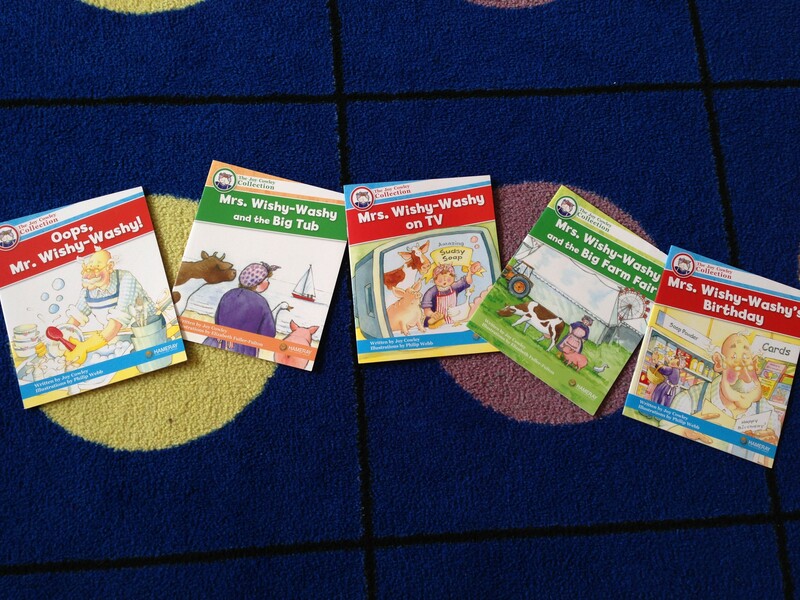 We love Mrs. Wishy-Washy in our kindergarten classroom. She becomes an old friend early in the year when we read the many early stories of her adventures with the cow, duck, and pig. The big books become treasured items in our classroom. We act out the stories using tiny toys and create interactive writing pieces based on the books. The children beg for more stories about her and get very excited when Mr. Wishy-Washy is introduced. Last year at the Reading Recovery conference, I was excited to see that there is a whole new series starring Mrs. Wishy-Washy by the wonderful Joy Cowley. I bought single copies of the books and they became fast favorites in our classroom. Recently, I was contacted by the publisher, Hameray Publishing, and asked to review these new titles. 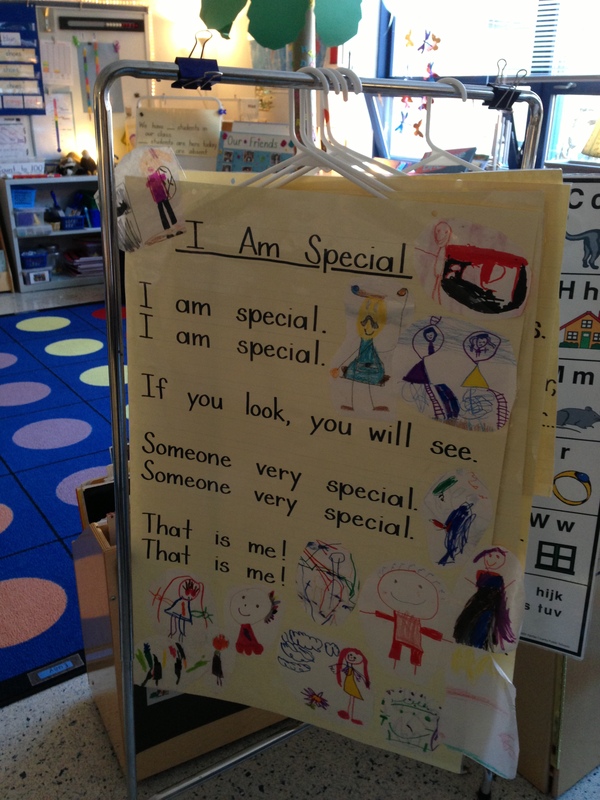 I turned this task over to my kindergarteners. We read the books and used them in our study of story elements including characters, setting, problem and solution. 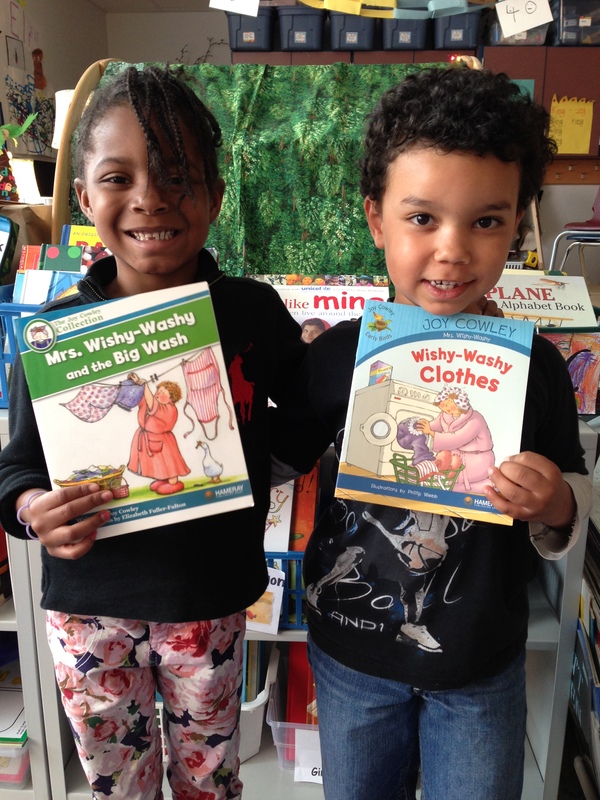 Here are some thoughts from the voices of five and six year-olds – the perfect audience for the Mrs. Wishy-Washy series. *I like the books because they have animals in them. I like Mrs. Wishy-Washy. *They are so funny because Mrs. Wishy-Washy is always trying to give them a bath. I liked when the animals went to a car wash. (in the book Mrs. Wishy-Washy and the Big Wash) That was so funny! *Joy Cowley is a smart writer. She knows how to make kids laugh. I love Mrs. Wishy-Washy! *Mrs. Wishy-Washy is the best character ever. I like her and the Pigeon (from Mo Willems) the best! *It was so funny when the animals put on Mrs. Wishy-Washy’s clothes (in the book Wishy-Washy Clothes). They looked funny and it made me laugh so hard! *Joy Cowley writes books for kids that kids like. She makes the characters solve problems in a funny way. Sometimes Mrs. Wishy-Washy gets tricked by the animals. I like that! As a teacher, I love these new books too! The Early Birds Collection is perfect for emergent readers, with easy to read text, meaningful story lines and engaging pictures and text. I’ve used these books for small group shared reading and independent reading. If I had multiple copies, they would be ideal for guided reading. The Joy Cowley Collection is excellent as well. These books are a bit more challenging, but still perfect for late kindergarten, first and second grade readers. The books engage children and provide multiple opportunities for predicting and thinking beyond the text. The stories are highly engaging and truly appeal to children at this age. Again, I have used these books in small group shared reading and for independent reading. They would be perfect guided reading texts as well. The Joy Cowley Classroom Giveaway calls for teachers, parents, friends, relatives and anyone else who wants to nominate a classroom to possibly win 90 new titles from The Joy Cowley Collection and The Joy Cowley Early Birds Collection by beloved author and Mrs. Wishy-Washy creator, Joy Cowley! These two new collections of leveled readers, for K-2nd grade classrooms, are developed for shared, guided and independent reading. Finger puppets and 3 audio CDs will also be included. Please nominate your favorite early childhood classroom here. You can also find out more about Hameray Publishing, Mrs. Wishy-Washy and other fun activities on Pinterest, Facebook and Hameray Publishing. You can use the discount code, ZJCC13 for a 20% discount that expires 6/30/13. Hamaray Publishing is also generously donating a Joy Cowley Big Book as a prize to a lucky winner on our blog! All you need to do is leave a comment below with your name and the grade level you teach before 5pm April 28. We’d love to hear your thoughts on using Joy Cowley’s books in your classroom as well! The winner will be randomly chosen April 28. Check back that evening to see who the winner is! Disclosure: I received complimentary products for review. All opinions are my own and this is not a compensated post.